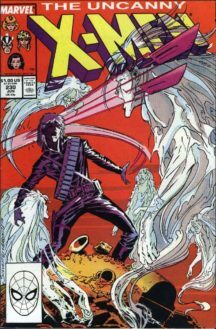 Numar de Craciun – ‘Twas the Night…!” New Mutants cameo. Poveste de Chris Claremont. Arta si cover de Marc Silvestri si Joe Rubinstein. Be the first to review “Uncanny X-Men 230” Click here to cancel reply.